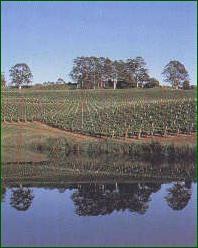 Scottsdale is close to some famous cool-climate wineries located in the Pipers Brook region of the Tasmanian Wine Route. "From Tasmania comes a rare quality of grape - and of widely growing recognition. Thanks to the State's cool, temperate climate and long hours of summer sunlight, local winemakers are producing varietal table wines of complexity and delicacy. "The number of wineries in the State continues to grow. There are plantations in several regions of Tasmania, each with its own climatic and soil conditions. "At Pipers River tastings and door sales are at: Brook Eden, Dalrymple, Delamere, Heemskerk, Pipers Brook and Rochecombe. "Brook Eden specialises in boutique wines, barrel fermented burgundy-style pinot noir and chardonnay, along with classic dry white, riesling and dried fruits. "Dalrymple produced its first vintage in 1991 and since then all wines produced have wond medals at Tasmanian and mainland wine shows. At Delamere, dry, still table wines are produced, having been exclusively estate grown and made. " "Pipers Brook means wine. Pipers Brook Vineyard is Tasmania's largest. Its Ninth Island Chardonnay is an international success and Clover Hill has been judged Australia's best wine. James Halliday has described Dalrymple's Sauvignon Blanc 'as near perfect as you can get in an imperfect world.' Providence Vineyard is where the Tasmanian industry was reborn in the 1950s and the wines at Delamere, Brook Eden, Lalla Gully and Golders are what hand-crafted, estate-grown, cool-climate wines are all about. "